When I started the Wardrobe Refinery, I learned that a lot of you, like me, were on a journey of self-discovery. You are looking for connection, joy, and to add some more fun in your life. Of that is you, The Joy Refinery is here to take your journey on the next step. Througout January 2019 we will be launching three new services under the Wardrobe Refinery Umbrella. A Book Club that will bring joy right to your door! Each package will contain a book (gently used or amazon kindle code with a small gift and a little something to inspire and lift you up. A New Mama’s Group. I don’t know about you guys, but I think my confidence was the hardest when I was a new mom. There were always people in my ear telling me what and who I should be, and it was awful. This is going to be a safe space to ask awkward and awesome questions of other people who are going through the same thing. I plan to have special guests from lactation consultants to make-up artists who can help with a new quicker routine now that you are strapped for time, plus there will be an online forum for everyone to connect when you just cannot get out the door because babies have their own agendas. The Joy Refinery Social Club. This is for people who are burnt out as hell on the way things are going right now. You are struggling to find joy and connection, and you just need to do something different. 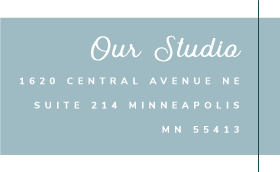 The Joy Refinery Social Club will include fun events around the twin cities to spark joy, some beautiful events around connection and self reflection, an online forum, and the book club. It will be a blast! Welcome to the Joy Refinery! Head to the shop to get in on the fun!